The Australian Competition and Consumer Commission (ACCC) has filed a lawsuit against Apple alleging that it violated Australian consumer law when a software update it issued last year bricked some users' iPhones. The lawsuit relates to the infamous "error 53" message reported back in February 2016 that began greeting some users after they updated their devices. It later emerged that the devices bricked by the message had been repaired by third-party technicians. Apple initially said the message was a protective security feature designed to protect consumers' devices from the installation of fraudulent Touch ID components, but later admitted the error was a mistake and apologized for it, offering instructions online explaining how to fix affected devices. The Australian regulator that filed the federal lawsuit is seeking financial penalties from Apple. Penalties of up to A$1.1million ($829,000) per breach could be assessed, according to The Wall Street Journal, but it would be up to the court to define how many breaches occurred. Apple has yet to respond to request for comment. Rod Sims, chairman of the ACCC, said the lawsuit challenges Apple's entire policy of requiring customers to pay for repairs to defective components if their device was previously serviced by a third party. "It's fair to say we haven't observed similar behavior by other manufacturers," Mr. Sims said in an interview, adding that it is often cheaper for customers to seek repairs from third-party shops. "Apple seems to have a particular way of doing things." Australian Consumer Law requires that when a product is purchased, there's a guarantee that it will be "reasonably fit" for its intended purpose. As the ACCC sees it, the error 53 message rendered customers' iPhones and iPads unusable, therefore they should be entitled to a remedy from Apple under the law. Apple faced a class action lawsuit in the U.S. over the error message last year, after some users accused it of false advertising and complained of data loss. Apple reimbursed the affected customers with working devices, and the company's motion to dismiss the case was successful after a district judge ruled that plaintiffs lacked evidence to back up their claims. The problem happened when people got their phone fixed by a third-party, not Apple, and a software check detected the third-party part and was rightfully suspicious since the phone hardware and its fingerprint sensor (used for Apple Pay e.g. access to your bank account) was not an expected part/ID/config whatever. QUICK SUE THE BIGGEST COMPANY ON THE PLANET FOR TRYING TO BE CAUTIOUS, they can afford it right? Apple is *the* most sued company on earth. Good job Australia, all other problems must be solved in your country to be suing Apple over a SOFTWARE doodad that was fixed to make people stop bitching their hacked up phones were popping a dialog. I am proud to live in a country that will stand up for consumers against the largest corporations on Earth. Here in the UK we have some of the best consumer protection laws on the planet - but I'm sorry, I'm partly with Apple on this one. Killing the phones completely was probably a mistake (I'm going to hazard a guess that they forgot to remove a check in an iOS build and accidentally bricked them) - but I do not want third party fingerprint sensors to work. This makes the whole thing far less secure. I side with Apple. If you use 3rd party you may as well fix it yourself. You reap what you sow. Good job Australia, all other problems must be solved in your country to be suing Apple over a SOFTWARE doodad that was fixed to make people stop bitching their hacked up phones were popping a dialog. While you make good points I have to feel you're being a little disingenuous. There is a world of difference between "popping a dialog" and leaving you with a non-functional device which you have not only paid for originally but also paid again to have it repaired. Or maybe not so much for customers but rather filling up the pockets of lawyers and bunch of other people. Silly, lol. The ACCC is an independent authority of the Australian government. This is not about making money for lawyers. This is about protecting the rights of consumer. Right, but they're suing for killing the phones, not throwing up a warning/error box saying "your phone may be insecure". I all for Apple for protecting the consumer from things, but they do this by bricking the device? How about a warning, or disclaimer saying that there might be a consumer violation. Apple loves the warning disclaimers, look at the annoying pop-up on CarPlay. 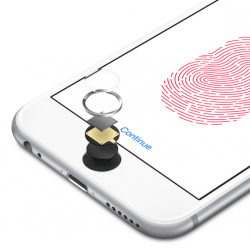 The Touch ID is not required to operate the iPhone or to keep it secure. So, again, why is bricking a reasonable consequence of a third-party repair? The ACCC is standing up for our rights as consumers! The ACCC will stand up against big and small companies, you may wish to conduct some minor research first. Wha wha what??? Pretty sure that if you enabled touch id to unlock your phone, and touch id stopped working, you wouldn't be able to access your phone at all, let alone operate it. So, it is indeed required to operate the phone for those that have it enabled as a security feature. Type in your passcode. You have to do it every time you restart your phone.